Visit Bigtime, a thriving metropolis where nefarious ubervillains and strapping superheroes are constantly battling for control of the city. Nightingale (2012), the fourth entry in Jennifer Estep’s romance/superhero parody series (now there’s an untapped genre), focuses on Abby Appleby, Bigtime’s premiere event planner. Though Abby has been cursed with supersenses ever since an unfortunate amaretto sour/karaoke machine accident, she doesn’t have any desire to mix it up with the superhero set. However, when she spies hero Talon being shot and temporarily blinded by his archnemesis, Bandit, she can’t help but save Talon’s life. Abby takes Talon back to her loft to nurse him back to health and they flirt, banter, and then totally do it. When Talon’s sight starts to return, she freaks out that he’s going to be disappointed with boring old Abby, so she drugs him and dumps his unconscious body in a location where he’s sure to be discovered by some good samaritan. So Abby thinks that is that, but the next day one of Bigtime’s many billionaires comes to her to plan an emergency party and she uses her supersenses to figure out that he’s really Talon. Of course. She agrees to plan the party because she’s a professional, but things get super awkward when she realizes that Talon is searching for the woman he calls Nightingale, aka Abby. And of course he starts developing feelings for real Abby which he feels guilty about because he doesn’t realize it’s the SAME WOMAN. It’s like The Little Mermaid, but without all the fish. At least it is in my brain. Oh and Bandit figures out that Abby was the one who saved Talon and that she has flash drive containing the ubervillain’s evil plan, so he starts trying to kidnap her and things get very tense and explodey. I don’t think it would shock or spoil anyone to learn that that there’s a big dramatic confrontation and a happy ending. I’ve mentioned before that I think world-building is really Estrep’s strength as a writer. What I love about Bigtime is how matter of fact all the characters are about the superhero world. There’s no shock or dismay about grown men and women running around in masks with superpowers; it’s commonplace to them. And Estrep has a lot of fun with the details. First of all, about 98% of the names are alliterative, and the other 2% tend to be puns. Also, the names of some of the 2nd tier superheroes and villains are hilarious: Halitosis Hal, Gentlemen George, Yeti Girl, with Granny Cane and Grandpa Pain. I want a short story about each of those characters now. And though the romance plots can edge on corny, I keep coming back to Bigtime because it’s fun. However, I had two major problems with this story. First, it was very repetitive. For example, Abby’s supersenses were referenced so many times that I began to suspect that I was in an episode of Pee Wee’s Playhouse and SUPERSENSES was the secret word of the day. Though screaming every time the word popped up did add a certain excitement to the reading experience. I just think the audience is smart enough to get what the author is going for without spelling it out repeatedly. Second, the main characters couldn’t figure out the secret identities of the superheroes despite the fact that it was EXTREMELY OBVIOUS. Look, I know that part of the fun and drama of the superhero genre stems from the audience is in on a secret that the other characters are not a part of, but COME ON. When you set up your main character to be hyper competent and intelligent, and yet she can’t even use her goddamn SUPERSENSES to figure out that the superhero who is acting exactly like her best friend’s boss is ACTUALLY her best friend’s boss, then I just lose all respect for her. 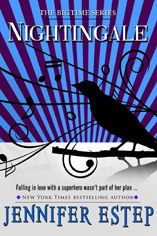 I didn’t realize until after I’d finished the book that Nightingale was self-published. 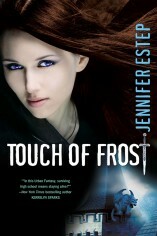 Apparently the original publisher did not pick up any more books in the series, but the author got enough feedback from fans that she decided to continue it on her own. Though I’m a bit of a self-publishing snob (I’ve spent too much time reading the slush pile to be otherwise), I think this is a great avenue for established authors to continue their stories for their fans. However, I think the self-publishing explains the biggest problems with the book: it should have been more rigorously edited. And I’m not talking about grammar, because an editor does so much more than that. A good editor would have reduced the repetition and obliviousness of the characters to make a less frustrating reading experience. 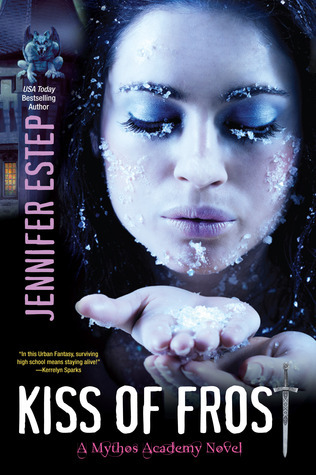 I know I’ve been a bit harsh, but I do hope that Estep continues with the series because it’s such a fun world to play in. Just, please hire an editor. I could even recommend a few. For you young whippersnappers who have never heard of Pee Wee’s Playhouse.